All persons entering WestWorld agree to abide by the Rules and Regulations set forth in the Show Premium and in the current AQHA, NSBA and NRHA Handbooks. 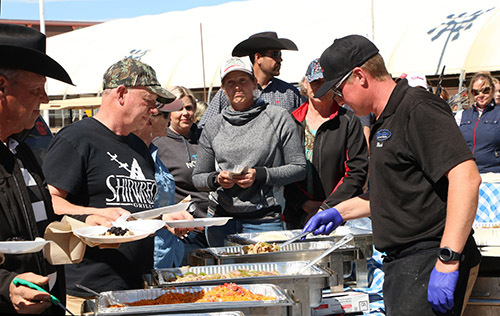 In addition, persons entering WestWorld agree to abide by any decisions, rulings or regulations issued by Show Management, AzQHA, AQHA, NSBA, NRHA or any of the other authorizing agencies. 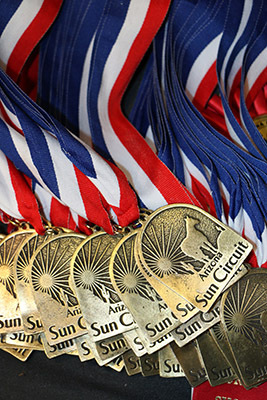 Arizona Sun Circuit is run in accordance with the Rules and Procedures of the American Quarter Horse Association. All exhibitors and owners are responsible for knowing, understanding, and complying with all applicable AQHA, NSBA, NRHA, and Sun Circuit rules. HEALTH REQUIREMENTS- West World requires that all out of state horses have a current Health Certificate and Coggins. All in state horse must have a Coggins issued in the past twelve months. Must have certificates on paper not a picture on a phone. 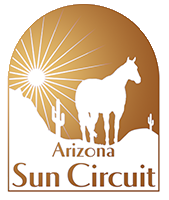 CONDITIONS – APPROVALS Classes at the Arizona Sun Circuit are approved by the American Quarter Horse Association, the Arizona Quarter Horse Association, the National Snaffle Bit Association, and the National Reining Horse Association. Classes will be conducted in accordance with the current rules of those organizations. RULES & PROCEDURE CHANGES The Arizona Sun Circuit reserves the right to change any of the rules, procedures, fee structures, provisions, or other material contained in this document when such changes are necessitated by changes adopted by AzQHA or any of the Sun Circuit’s authorizing agencies. 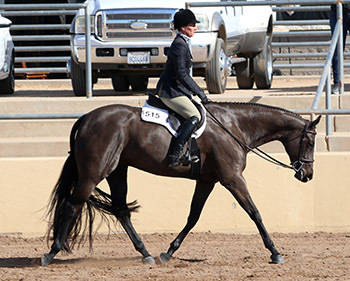 SCHEDULE, LOCATION, PRIZE CHANGES Sun Circuit reserves the right to modify the class schedule and the location of classes as may be necessitated by the best interests of the horse show. Sun Circuit reserves the right to replace one prize with another of similar value, when circumstances so require. HORSE REGISTRATION PAPERS All AQHA entries must have a current registration certificate, a photocopy of which must be submitted with the entry. Horses who have shown in previous years who have had no changes to their registration papers will not need to submit papers. EXHIBITOR MEMBERSHIPS Each exhibitor is required to be a member of the authorizing agency for the class in which the exhibitor is showing. At Sun Circuit, these agencies include AQHA, NSBA, and NRHA. If the exhibitor is not a member, membership can be purchased at the Show Office. BIRTHDATES REQUIRED All Youth and Amateur Select exhibitors are required to include their date of birth on the Entry Form. SOCIAL SECURITY NUMBER/TAX ID NUMBER SSN or Tax ID numbers are required of any exhibitor to whom prize money will be awarded. Please make sure we have your correct mailing address to send out paybacks and tax information. BACK NUMBERS Each horse will be assigned a separate number to be worn by all exhibitors showing that horse. Numbers will not be issued until all entry information is complete and payment of entry fees and all other show related expenses is guaranteed through an open check or charge card. LATE FEE Entries received after January 19, 2018, will be subject to a $40 late fee. PAYMENTS Payment for entry fees may be guaranteed by leaving an “open check” or charge card authorization. Payment for stalls must be made separately from entries and stalls must be paid in full prior to the horse show. All checks to be written to Arizona Quarter Horse Association If an individual fails to check out at the show and request a statement be mailed at a later date there will be a $15 charge. ADDS Classes may be entered at the Show Office on a daily basis but must be entered at least three classes prior to the class being entered. For each new show day, entries for the first two classes must be in by the close of the Show Office the night before. SCRATCHES There will be no charge for scratching a class, provided the scratch is done at least two classes prior to the class being scratched and is done at the Show Office. Exhibitors who fail to show up for a class without having scratched will be considered a “no show” and will be charged for the class. Any cattle classes that are scratched, entry will be responsible for cattle fees. CLASS CONFLICTS Recognizing the versatility of the American Quarter Horse, every reasonable attempt will be made by show management to accommodate exhibitors showing in conflicting classes. Undue delays, however, cannot be allowed. Exhibitors may have to choose which classes to enter and which to forego. It is the exhibitor’s responsibility to notify all applicable arenas of any potential or pending conflict. LIABILITY All exhibitors will be under the control and direction of Show Manager, but the Arizona Sun Circuit, AzQHA, City of Scottsdale, and any of their officers, directors, agents, or employees will in no case be responsible for any loss, injury or damage that may occur to person or property. Each exhibitor, owner, vendor, spectator, or participant will be solely responsible for any loss, injury, or damage that may occur to him or his officers, directors, agents, or employees during the Sun Circuit. The exhibitor, owner, vendor, spectator, or participant will indemnify Sun Circuit against any and all legal proceeding in regard to the above and against damage or injury to any other person or property caused by the exhibitor or his officers, directors, agents, employees, or animals. Sun Circuit will offer American Paint Horse Association pointed classes in Showmanship, Horsemanship and Equitation. Youth, Amateur and Masters will be offered in each division. The classes will run concurrent with the NSBA Color classes. 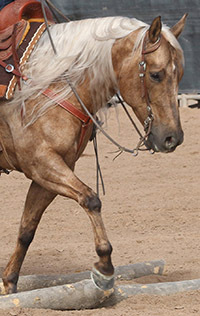 Sun Circuit also offers NSBA Color classes in the Western Pleasure, Western Riding and Trail. Exhibitors may enter the Color or APHA or enter both classes. Solid registered paints are eligible for the NSBA Color Class but are not eligible for the APHA classes offered at Sun Circuit. The Arizona Quarter Horse Association (AzQHA) has entered into exclusive contracts regarding the sale and distribution of photographs and video, including any other reproduction of the events; The Arizona Sun Country Circuit and the Arizona Fall Championship. AzQHA reserves the right to regulate access to the horse show facilities, and to determine the use of the facilities by any vendor, photographer, or any other individuals or parties. Commercial Photographers are limited to the Official Horse Show Photographer and Videographer, and Press Photographers credentialed by AzQHA. Press photographers (anyone taking pictures for newspapers and periodic publications) will be required to obtain a press pass and display it at all times. Press passes can only be obtained from AzQHA. Professional and/or commercial photography (any photography taken for resale purposes or advertisement) without prior written consent of AzQHA is expressly forbidden. This policy will be strictly enforced. Violation of this policy will result in removal from the show grounds and revocation of admission for the current and/or future shows. In addition, any images related to these events; photo, video, or brand recognition is the sole property of AzQHA and will be vehemently defended under the United States Federal Copy Right Infringement Laws.